The San Francisco Planning Department released a draft environmental impact report Monday for an ambitious plan to redevelop Treasure Island and parts of Yerba Buena Island. According to the four-volume report, the project would include development of up to 8,000 residential units, up to 140,000 square feet of new commercial and retail space, up to 100,000 square feet of new office space, and the reuse of about 311,000 square feet in historic buildings on Treasure Island for commercial, retail or flexible space uses. 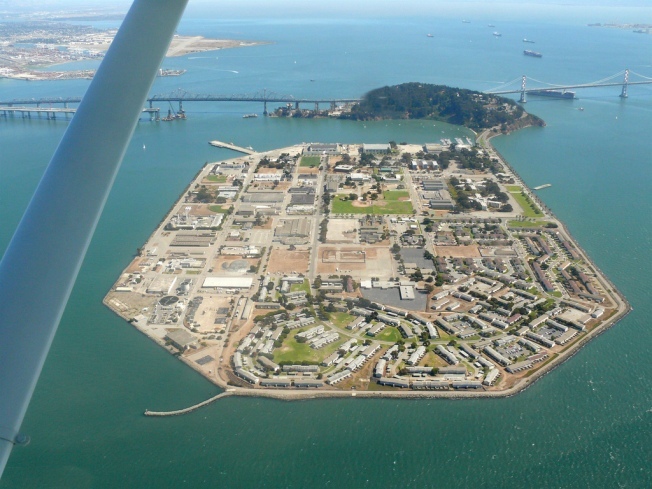 It also would include up to 500 hotel rooms and rehabilitate historic buildings on Yerba Buena Island. In addition, the project would include about 300 acres of parks and public open space, including shoreline access and cultural uses such as a museum, new and upgraded streets, and bicycle, transit and pedestrian facilities. Transportation facilities would include construction of a transit hub. The San Francisco Municipal Railway 108-Treasure Island bus would continue to provide bus service between the islands and downtown San Francisco, and it would be complemented by new bus service to downtown Oakland. There also would be ferry service between the west side of Treasure Island and the San Francisco Ferry Building. The report says that among the issues that will be addressed during the environmental review process are an analysis of transportation impacts; energy consumption; the project's effect on global warming and the rise of sea levels; air quality; future employment; archaeological resources; biological resources; and maximizing public access to the San Francisco Bay. Before construction work can begin, the report must be finalized in response to public comments and then approved by city officials. The planning commission will hold a public hearing on the report at San Francisco City Hall at 10 a.m. on Aug. 12. Public comments will be accepted until 5 p.m. on Aug. 26. San Francisco Planning Department officials weren't available for comment.